MetCarpet Cleaners has, over the past 17 years, performed countless water damage restoration tasks throughout the Washington D.C. Metropolitan market. Our team members are certified in water damage restoration by the Institute of Inspection, Cleaning and Restoration, who annually re-certify our credentials. Our crew chiefs are certified as mold and mildew eradication experts. We adhere to the rigourous standards of the IICRC, of which MetCarpet Cleaners has been a member since 2000. We perform water damage tasks for small apartments, large hotels, residences, and to some of the largest property management companies in the Wahington D.C. Metropolitan region. MetCarpet Cleaners is licensed, bonded, and insured. MetCarpet Cleaners performs a monthly and quarterly analysis of price competition in the Washington D.C. Metropolitan market, and we are, on average, 22 percent less expensive than the average water damage and restoration firm. Our approach to water damage is quite simple. First, we understand that a water damage is a traumatic experience for an individual, family, or business. 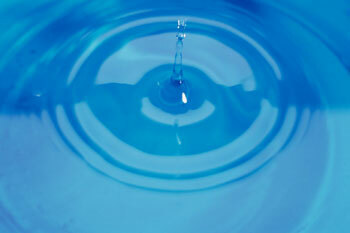 We adhere to the protocol and procedures set for for water damage remediation by IICRC. Our approach entails, along with experience and hard work, the correct amount of equipment and placement of water extractors, dehumidifiers, air movers, and ventilators. Our technicians are trained to specifically measure, with their issued hydrometers, those areas affected by water damage. With specificity and surgical precision we remove only the portions of drywall or sheet rock that are affected by water damage. We perform a 15 point inspection of your property to ensure that all areas of your property will not be affected by mold and mildew, which we address using EPA recommended organic materials. The products we use are LEED certified and provide you certainity that any part of your property affected by a water damage will be clean, safe, and mold and mildew free. Our 24-hour EMERGENCY RESPONSE TEAM will contain the damage resulting from broken water pipes, sewage backup, roof leakes, refrigerator water lines, dishwashers and overflows and other leakage. Call us as soon as you discover the problemto avoid damage to walls, floors, carpets and furniture. We handle all insurance billing.